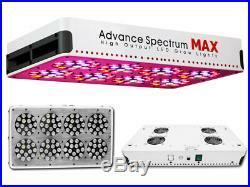 Advanced Spectrum MAX 3w Chip Modular Dual Lens LED Grow Light Kit Panel 7 Bands. 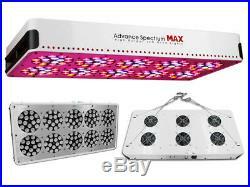 The Advance Spectrum MAX 3w-Chip Modular line of LED grow light panels are ready to get your garden growing to is maximum potential! Don't be fooled, this L. Unlike a 1000w HID, however, this LED draws more than 50% less energy than one! The red, orange, blue, light blue, white, and NEW infrared lights are utilized to keep your plants full of the light they need for optimum quality yields. 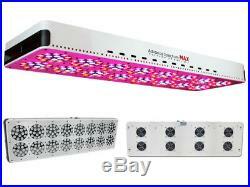 This new LED grow light panel also has a 60 degree&###xA0; secondary &###xA0;angle lens that helps its the 90 degree base lens to provide more than triple the intensity and penetration of light compared to other LED Grow Light Kits available. Single 120 degree lenses other LEDs do not offer sufficient plant penetration, and single 60 degree lenses offer too little plant coverage. Its modular feature makes customization and repair a breeze, and its Intelligent Detection diodes help indicate faults and defects in the panel before it's too late. 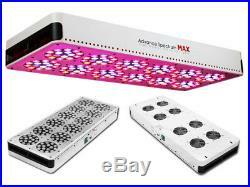 Our&###xA0;Advance Spectrum MAX 3w-Chip Modular LED grow panel the offers the same geat plant growth of an HPS+MH system at half the cost, and superior growth over the other LED's around! 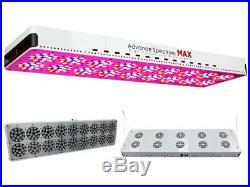 &###xA0; NOTE: The display picture is the 900w Advanced Spectrum LED Grow Light. Images of all other LED&###x2019;s can be found in the image gallery. Dual Lens Technology : The 90 degree base lense offers a wide area of light coverage, and the 60 degree secondary lense offers more intense light on to your plants than most LED's on the market. &###xA0; Modular Design : No glue, no glass, no fuss! Diodes that go out do not affect the rest of the panel, and any parts that need replacing are a snap! Intelligent Detection : There are diodes on the side of the panel that indicate any operating defects, so you won't have to wait until it's too late for repair. 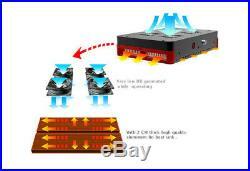 Low Heat : The heat dissipation design and internal fans help keep our LED's 10-15 degrees cooler than other LED's. Better for Environment : These LED's save 50-90% in energy consumption versus incandescent and fluorescent tubes! Lifespan : 50,000+ hours&###xA0; Easy to install, use, and repair! Panel Dimensions: 45" x 11" x 3. Light Blue LED wavelength: 430nm. New&###xA0; Infrared &###xA0;LED wavelength: 710 IR (Promotes resin growth on plant for protection and growth)- it looks like there's nothing at all! White LED wavelength: 10,000k. Full spectrum, great for all phases of plant growth. Perfect for Indoor Growing in any medium: Hydroponics, Aeroponics, or Soil. Hanging Hardware for Easy Set up in Minutes! Note: Infrared diodes do not give off a visible spectrum. Although it is helpful to your plants and is actively working the moment you turn your light on, it will not be visible to the naked eye. 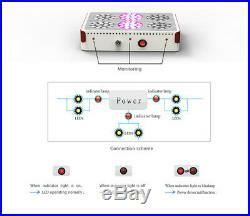 Light ratings are based on the number of diodes in the unit multiplied by the chip wattage. Any product you return must be in the same condition you received it and in the original packaging. This new LED grow light panel also has a 60 degree secondary angle lens that helps its the 90 degree base lens to provide more than triple the intensity and penetration of light compared to other LED Grow Light Kits available. 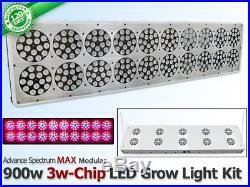 Our Advance Spectrum MAX 3w-Chip Modular LED grow panel the offers the same geat plant growth of an HPS+MH system at half the cost, and superior growth over the other LED's around! 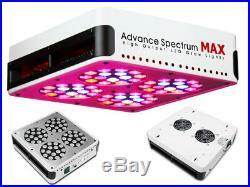 NOTE: The display picture is the 900w Advanced Spectrum LED Grow Light. Dual Lens Technology: The 90 degree base lense offers a wide area of light coverage, and the 60 degree secondary lense offers more intense light on to your plants than most LED's on the market. Modular Design: No glue, no glass, no fuss! Intelligent Detection: There are diodes on the side of the panel that indicate any operating defects, so you won't have to wait until it's too late for repair. Low Heat: The heat dissipation design and internal fans help keep our LED's 10-15 degrees cooler than other LED's. Better for Environment: These LED's save 50-90% in energy consumption versus incandescent and fluorescent tubes! Lifespan: 50,000+ hours Easy to install, use, and repair! 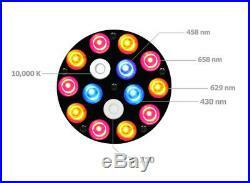 9--White LED wavelength: 10,000k 10-Approx. Lifetime: 50,000 Hours 11-Built-in Cooling Fans 12-Heat dissipation design 13-Full spectrum, great for all phases of plant growth 14-Perfect for Indoor Growing in any medium: Hydroponics, Aeroponics, or Soil 15-Hanging Hardware for Easy Set up in Minutes! 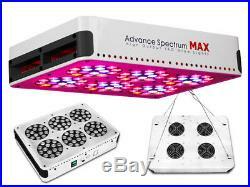 The item "Advanced Spectrum MAX 3w Chip Modular Dual Lens LED Grow Light Kit Panel 7 Bands" is in sale since Thursday, July 26, 2018. This item is in the category "Home & Garden\Yard, Garden & Outdoor Living\Gardening Supplies\Hydroponics & Seed Starting\Grow Light Kits". The seller is "growdeals" and is located in Walnut, California.